The Women’s Soccer Team is eight games deep into their fall season, and their record currently stands at 6-1-2. Their only loss was to MIT, which has a nationally ranked program; and yet, the Lesley women still managed to scored two goals during the match. They are 2-0 in conference play, and they have already faced the challenges of their two toughest rivals. The team has a 30 woman roster, the largest in program history. Head Coach Paul Vasconcelos is encouraged by what he is seeing thus far. He had this to say about the team’s chemistry: “We have a very competitive team dynamic here this year within the group. It is difficult to manage a team with so many talented players; they all have a will to compete. 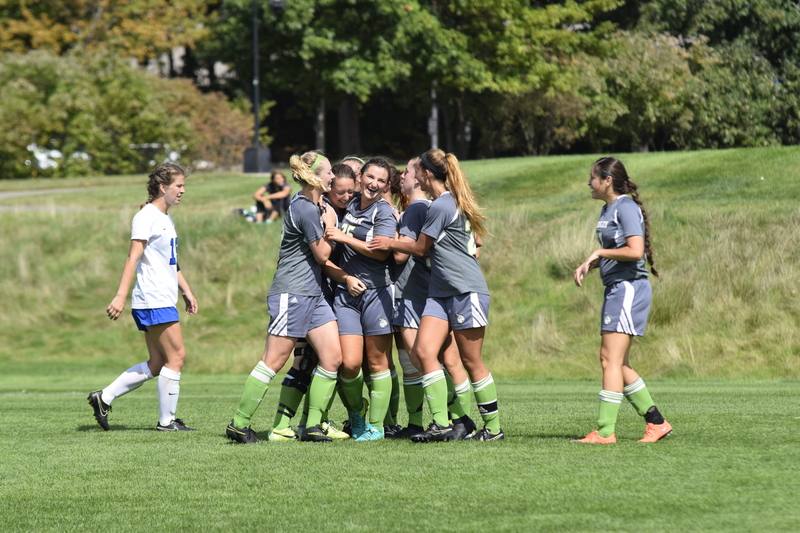 Everyone challenges one another at training, and this aids in our player development.” The Lynx have a tough schedule ahead; they faced Emerson College (their out of conference rivalry) in the Charles River Cup on September 26th, and battled to a 1-1 tie. Coming next are Brandeis University and Tufts University in October, in addition to plenty of conference play left in the season. As for the Women’s Volleyball Team, it is 5-8 for the start of their season. However, they have yet to start conference play (which they were picked to place first in the preseason poll). Despite their recent losing streak, the players have enjoyed great home success, with a 4-0 current record. Senior Anni Abbruzzese is not discouraged by the team’s current record. In fact, she is very hopeful. 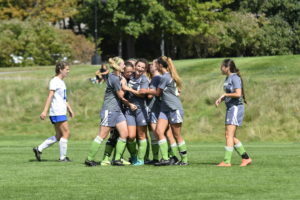 “This season has been full of ups and downs, but I think this team has the potential, and is capable of rising to any challenge we face together.” Their first conference home opener is October 7th against Bay Path College. I hope that everyone in the Lesley community will show support for our teams, by attending some of the games. There is nothing that motivates a team more than playing in front of a friendly crowd, so if at all possible, let the players know you are behind them, and come to a game to cheer them on.